American views on marijuana have shifted rapidly. In 1988, only 24 percent of Americans supported legalization. But steadily, the nation began to liberalize. By 2018, 66 percent of Americans offered their approval, transforming marijuana legalization from a libertarian fantasy into a mainstream cause. Why has public opinion changed so dramatically? In a study published this February, we examined a range of possible reasons, finding that the media likely had the greatest influence. Our study ruled out a few obvious possibilities. For one, it's not about marijuana use. Yes, its use has increased—but the increase from 10 percent to 13.5 percent is too small to have had much of an impact on attitudes. And it's not about generational differences. Younger and older people developed more liberal views about the legalization of marijuana at a similar pace over the last 30 years. Likewise, the pace of change has been similar across political parties, religions, educational levels, racial and ethnic groups and gender. As of 2016, 67.5 percent of Democrats and 47.6 percent of Republicans think that marijuana should be legal. As politically polarized as the country may seem, when it comes to marijuana, Americans have been changing their attitudes together. What has likely made the biggest difference is how the media has portrayed marijuana. Support for legalization began to increase shortly after the news media began to frame marijuana as a medical issue. In 1983 and 1984, most articles on marijuana in the New York Times discussed problems related to the drug, such as crime. At that time, the Times was more likely to lump marijuana together in a kind of unholy trinity with cocaine and heroin in discussions about drug smuggling, drug dealers and the like. During the 1990s, stories discussing marijuana in criminal terms became less prevalent. Meanwhile, the number of articles discussing the medical uses of marijuana slowly increased. Gradually, the stereotypical persona of the marijuana user shifted from the stoned slacker wanting to get high to the aging boomer seeking pain relief. And, as Americans became more supportive of marijuana legalization, they also increasingly told researchers that the criminal justice system was too harsh—and the proportion of Americans who support legalizing marijuana has closely tracked with the proportion of Americans who think the criminal justice system is too harsh. 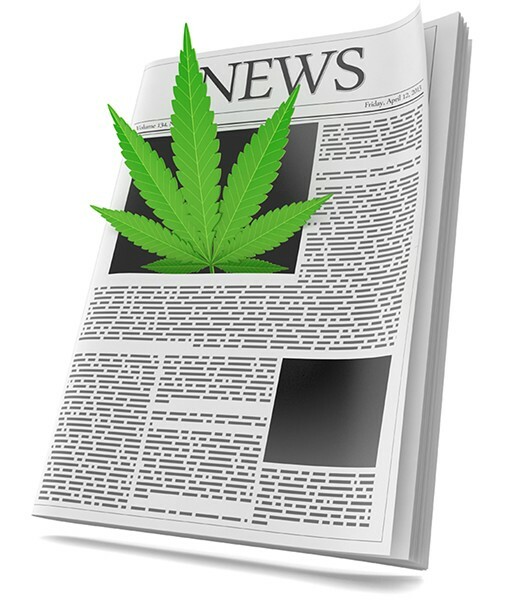 Our study found that the news media's portrayal of marijuana began to change shortly before the public did—suggesting that the media influenced support for the legalization of marijuana. Whatever the initial impetus, attitudes today are drastically more supportive. Source: Alternet's the Conversation. A longer version of this article with details on the study appears on Alternet.com.